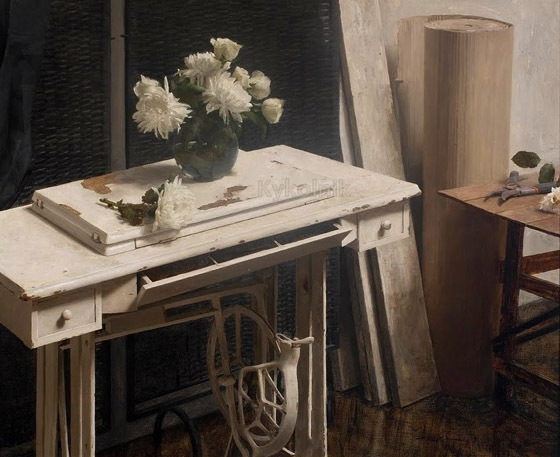 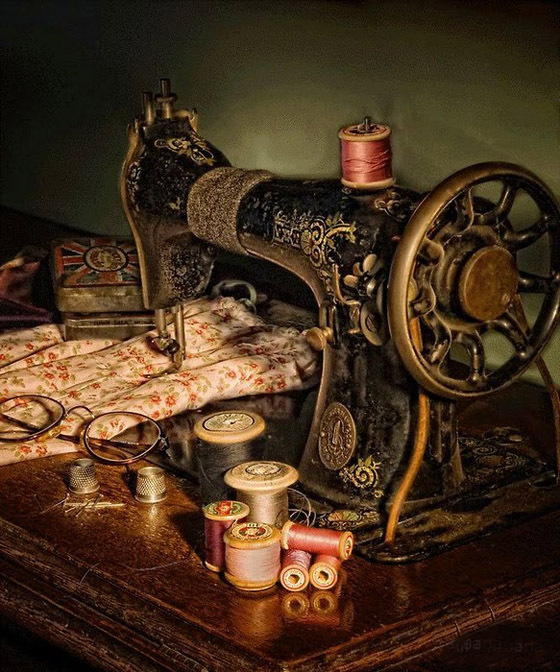 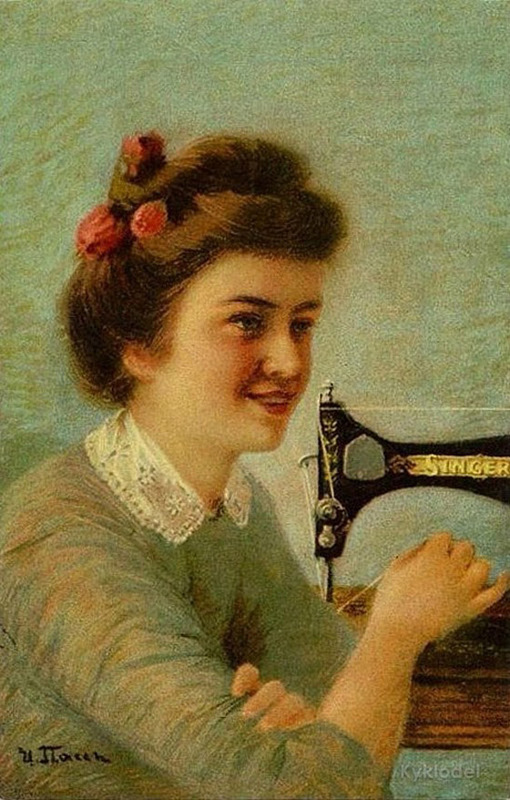 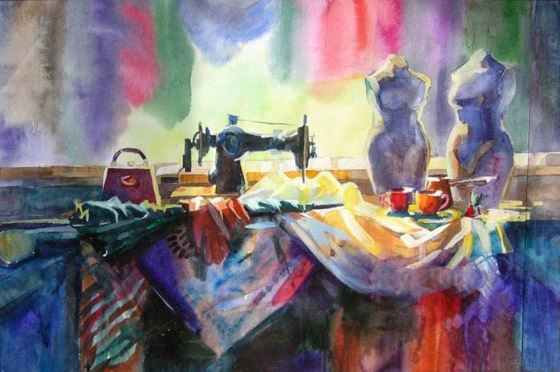 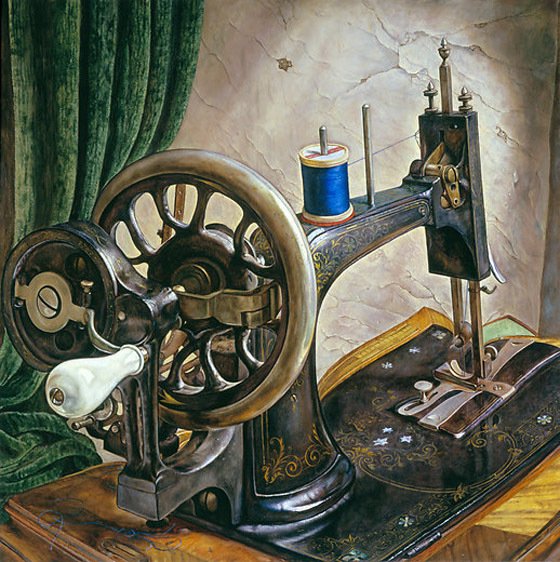 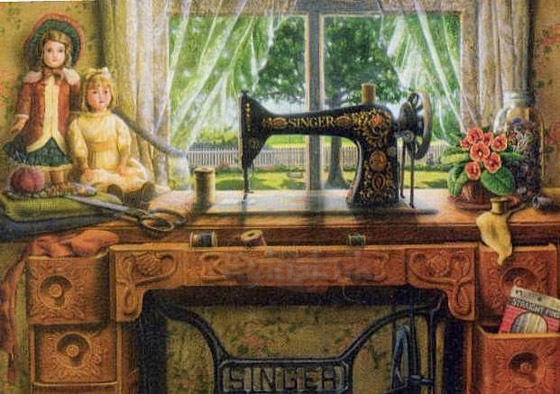 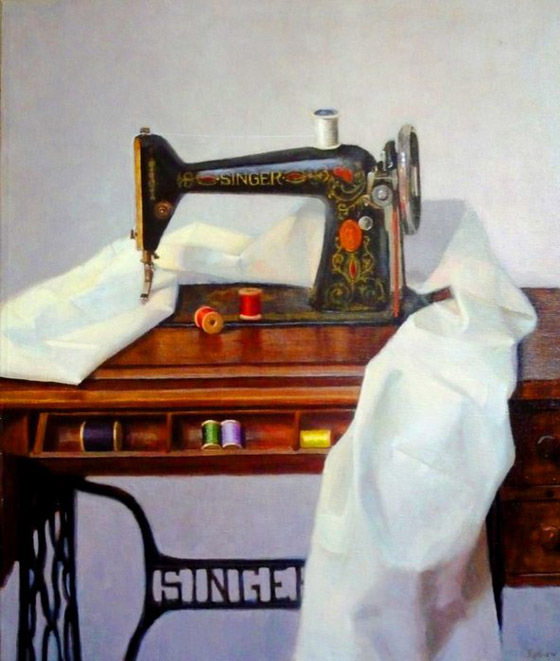 Sewing machines in painting ~ DIY Tutorial Ideas! 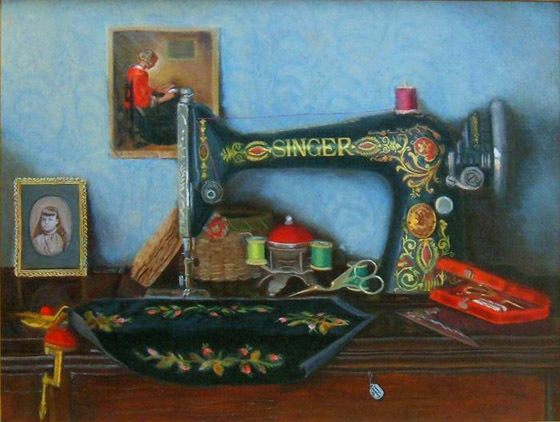 An unusual selection ... sewing machines. 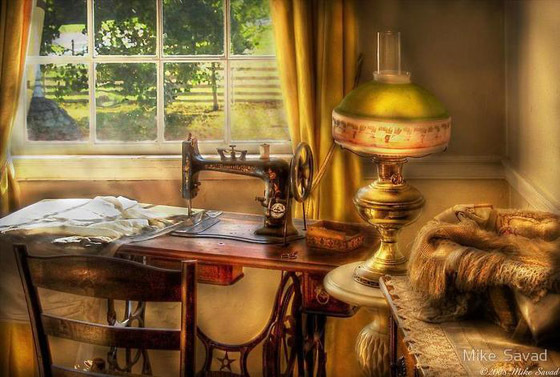 Very emotional pictures, with a special mood! 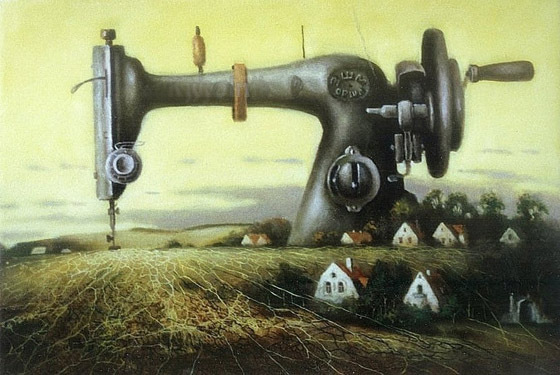 I invite you to admire with me. 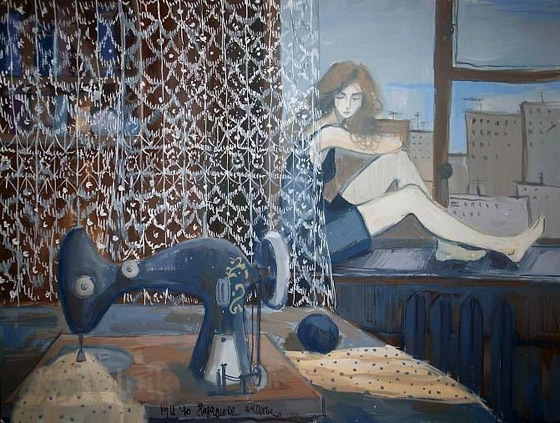 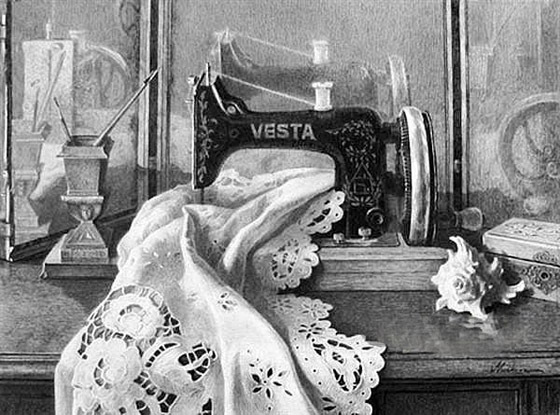 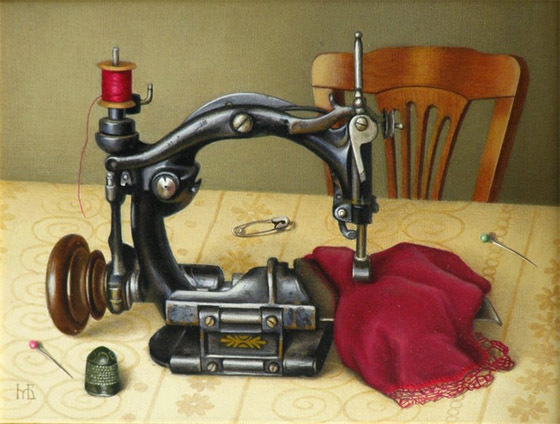 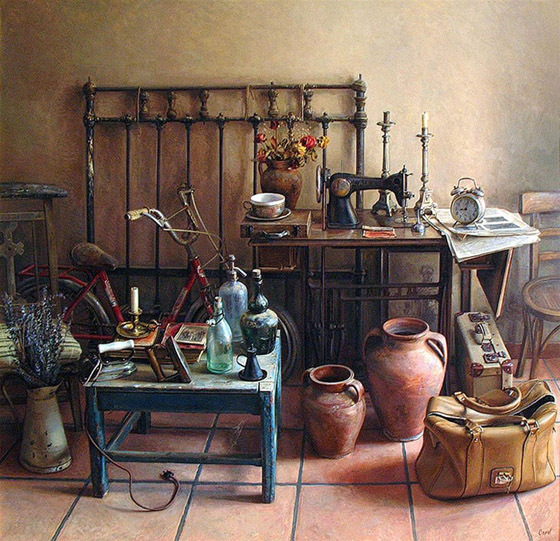 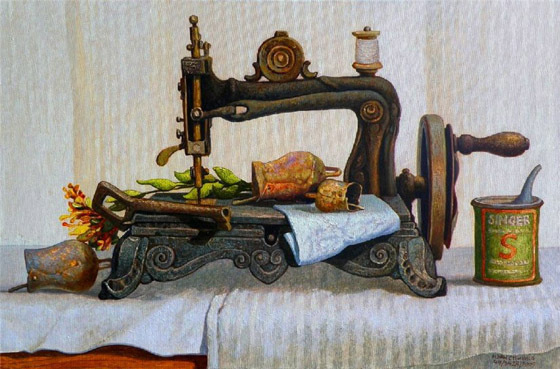 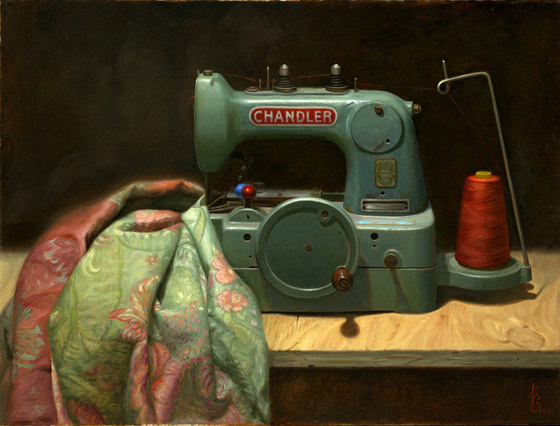 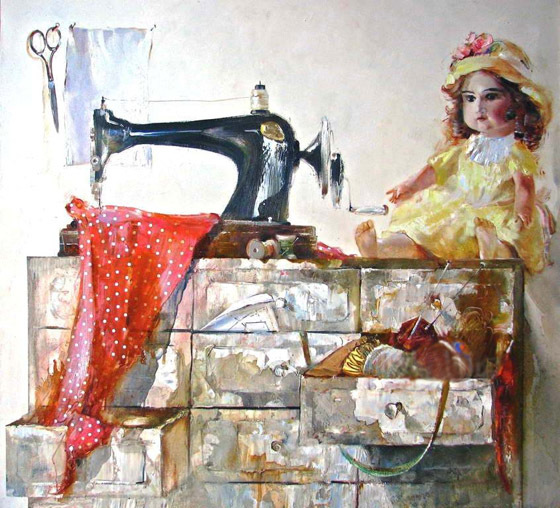 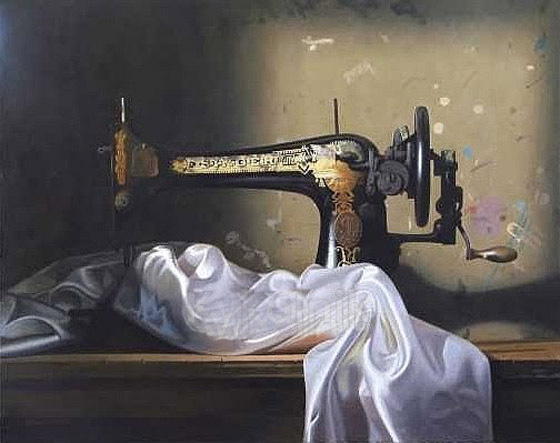 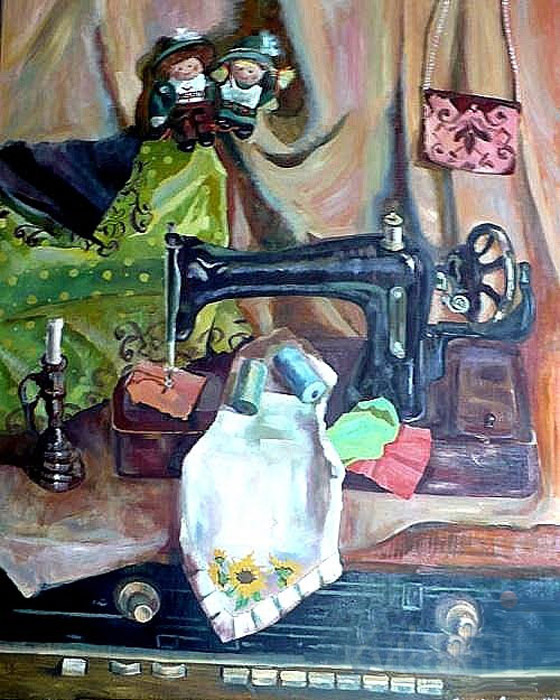 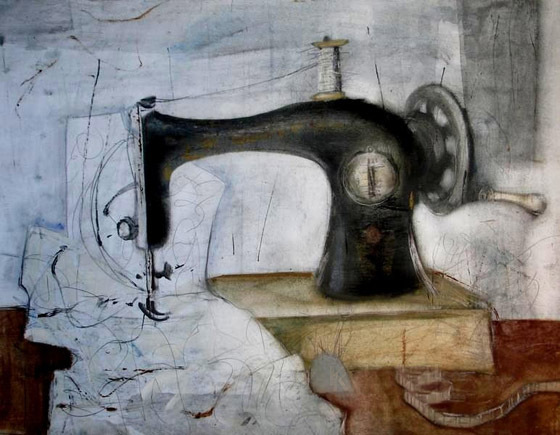 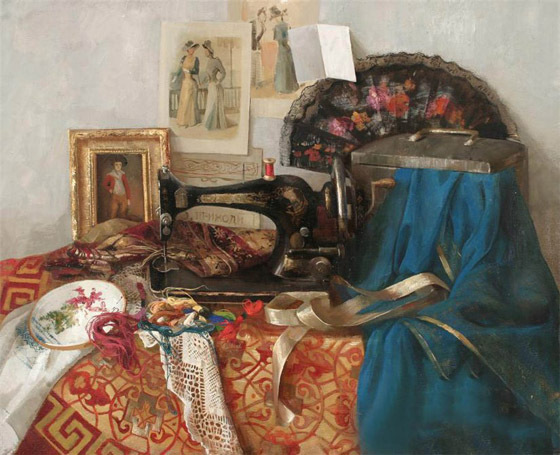 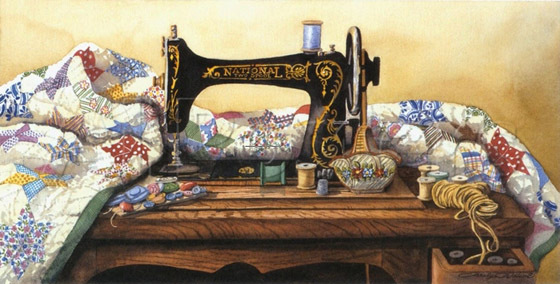 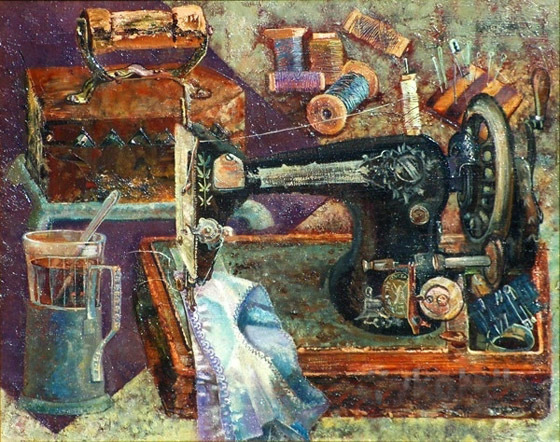 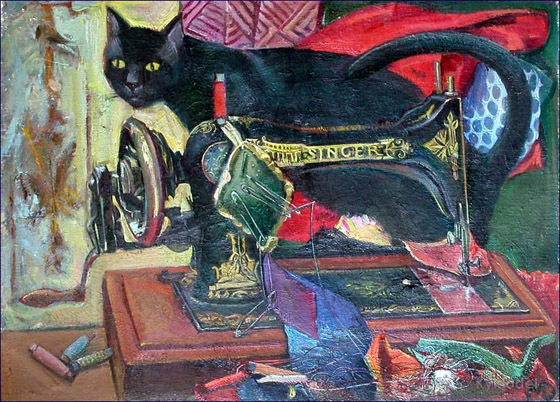 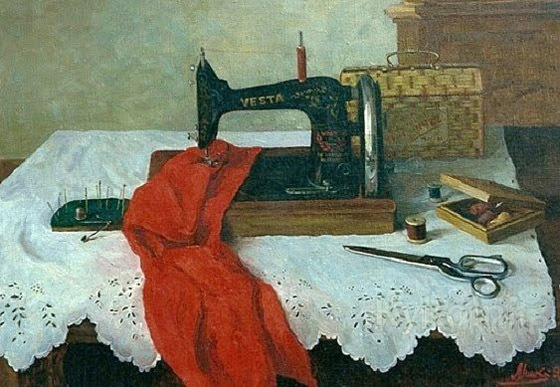 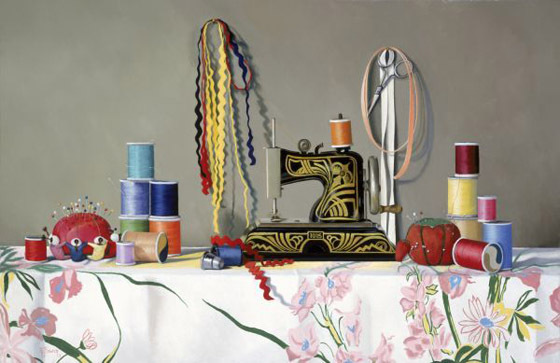 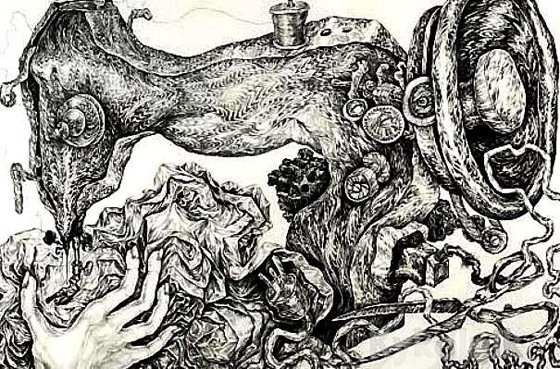 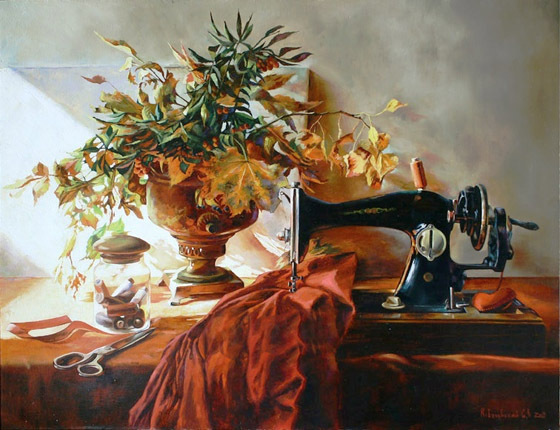 Marina Kutyavina (born 1970) "The taste of oblivion"
Sidorova-Demchenko Nadezhda Vitalievna (born 1977) "Still life with a sewing machine"
Ginger Bowen "On Pins and Needles"
Natasha Milashevich "Old sewing machine"
Oleg Gutsalyuk "The Sewing Corner"
Ни чего себе!!! 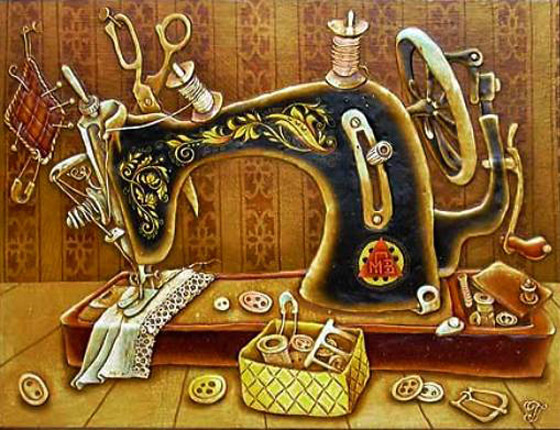 И где нашла-то такое?